A Marimo Moss Ball is often displayed in stores with aquarium plants. 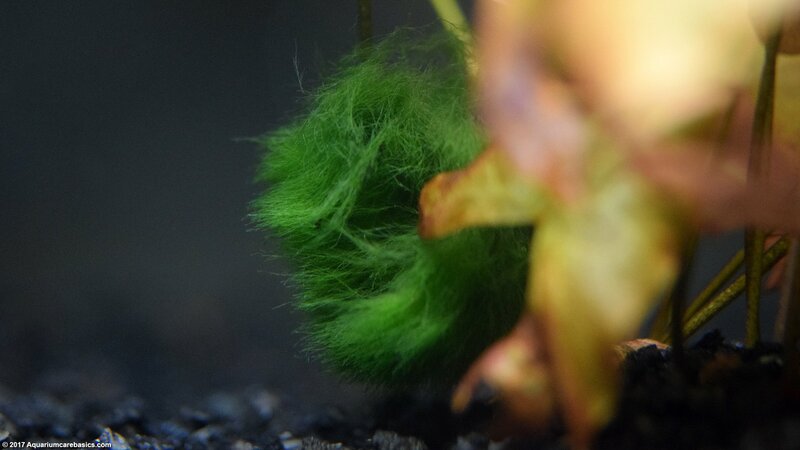 But a Marimo Moss Ball isn’t really a plant at all. 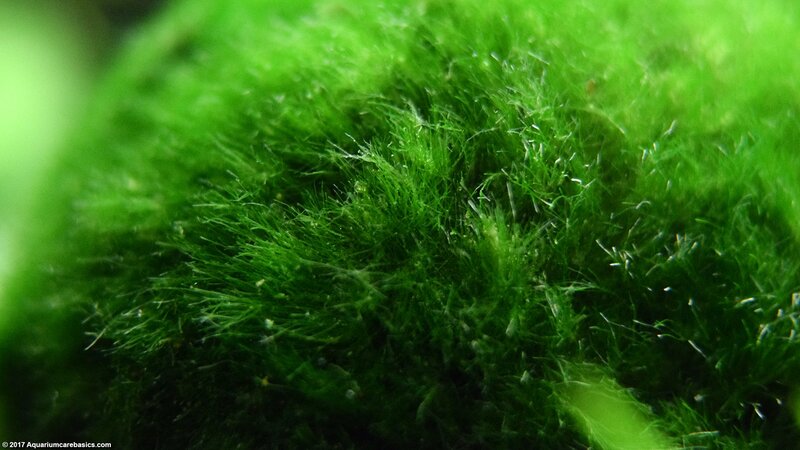 A Marimo Moss Ball is a form of green algae that looks like a plant. 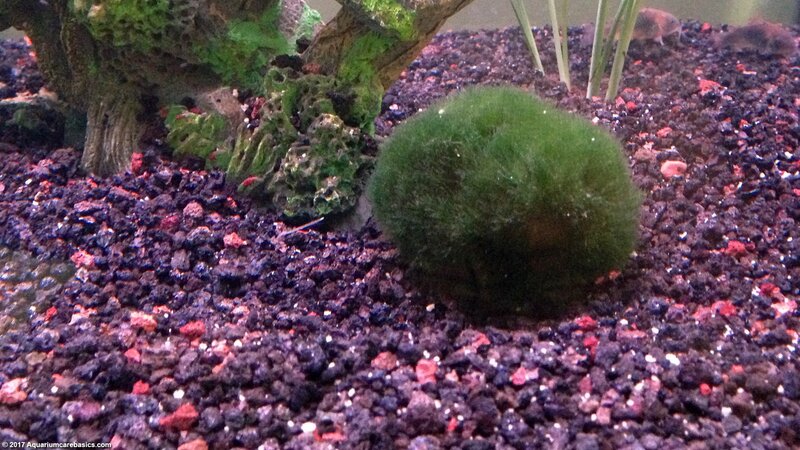 A Marimo Moss Ball is soft and spongy when filled with water, and makes a great conversation piece in a tank. How many people say they have a Moss Ball? In stores, a Marimo Moss Ball may sometimes be sold as: Marimo Algae Balls, Marimo Algae, Algae Balls, Japanese Moss Balls, Cladophora Balls, Seaweed Balls, Algae Balls, a Marimo Ball, Marimo Moss, and simply Moss Balls. 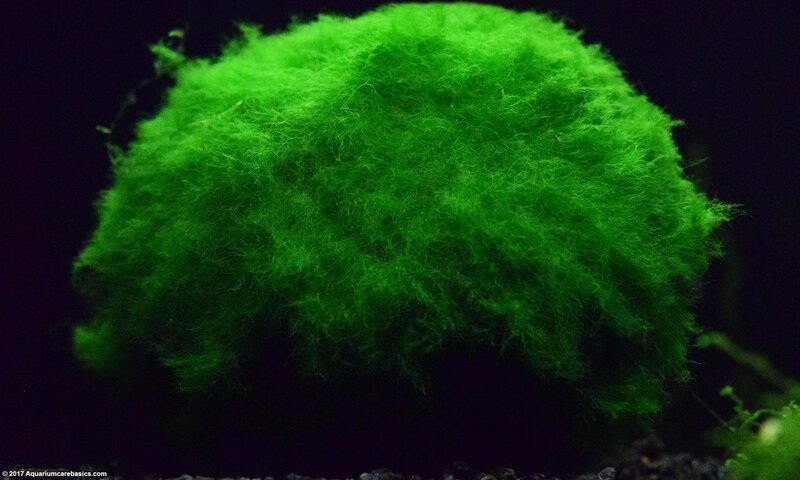 Even though a Marimo Moss Ball is algae, its not the type of algae that will spread throughout the aquarium. The algae in a Marimo Moss Ball will not turn tank water green. 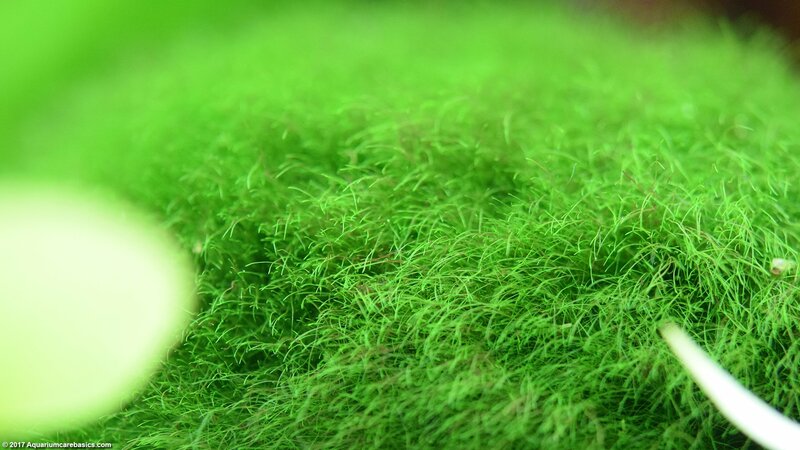 Moss Balls can often be sold on the small side, around 2 inches in diameter. Or they can be on the larger side upwards of 5 inches around. The price is usually greater the larger the Moss Ball is. And unlike most other aquarium plants, it really doesn’t shed dead plant matter into the tank. The Marimo Moss Ball in this video is filled with aquarium water and is resting on the bottom of the tank. These algae balls simply stay on the tank bottom as water moves around it. The good news is that Marimo Moss Ball care is pretty straight forward. Just put Moss Balls in the aquarium and let them float around or sink to the bottom. A Marimo Moss Ball will find a spot and stay there. They can be kept alone, in small groups, or even in larger groups if space permits. They grow very slowly, and if conditions are good, they will get visibly larger over time. If the water current is strong enough it will move with the current and find a new spot to settle. If the water current is not strong enough, it may be a good idea to move it from time to time so it doesn’t flatten out on one side. Aquarium pH: Wide range, can be slightly acidic or on the alkaline side. 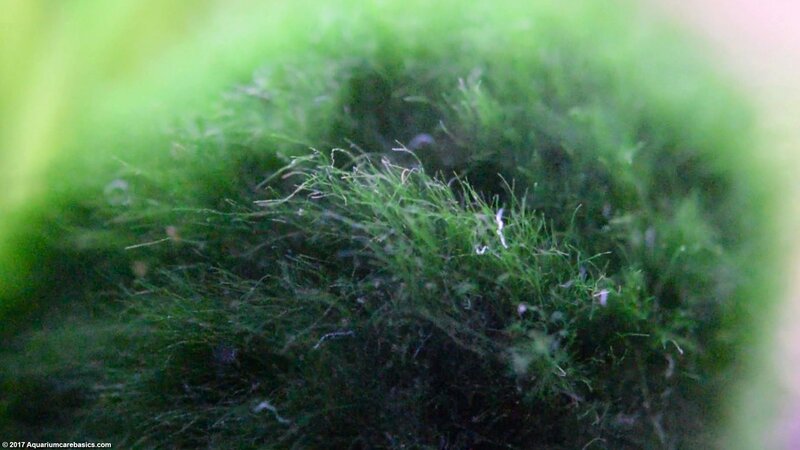 If excess debris builds up on the surface, cleaning a Marimo Moss Ball is easy. 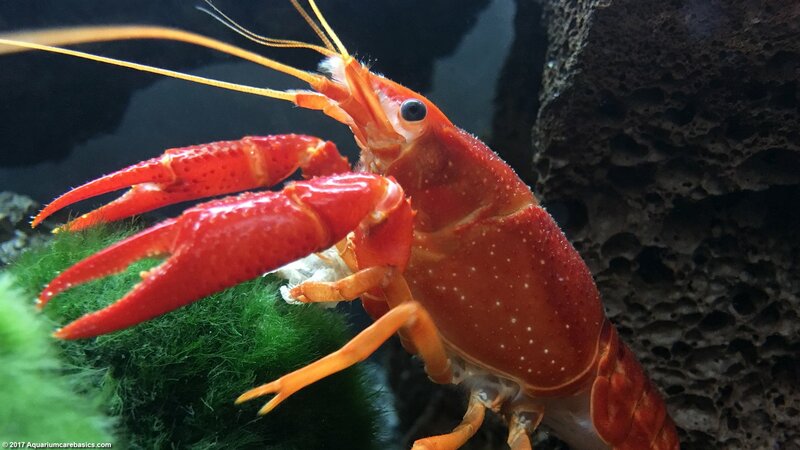 Just take it out of the tank and gently swish and squeeze it in a bucket of aquarium water. Think of it like a sponge. Squeezing it in aquarium water forces the water out and releasing it draws the water back in. If its getting a little out of round, cup it and gently roll it around. If it floats after being put back in the tank its because water is out of the middle. It will fill up and sink to the bottom again. 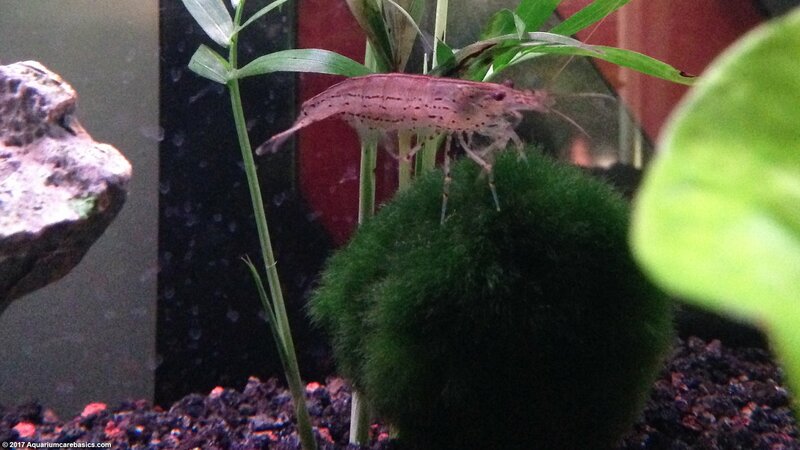 A Marimo Moss Ball is an interesting addition to a tank. They add green color to the setting and can draw small amounts of nutrients from the water that would otherwise feed less desirable forms of algae. Along these lines, some hobbyists suggest that they help remove small amounts of Nitrate from the water as well. They also suggest that their fibrous filaments provide small amounts of additional surface area to host beneficial bacterial. 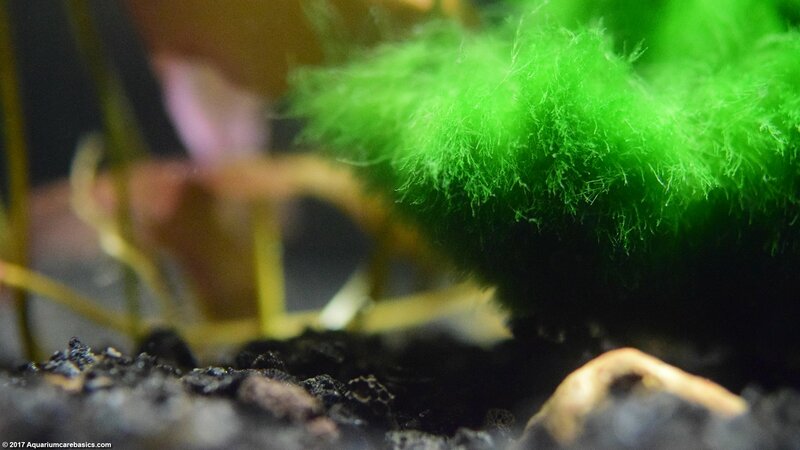 But most importantly, a Marimo Moss Ball provides tank inhabitants with something to climb on, explore, hide behind, rest under and feed from. 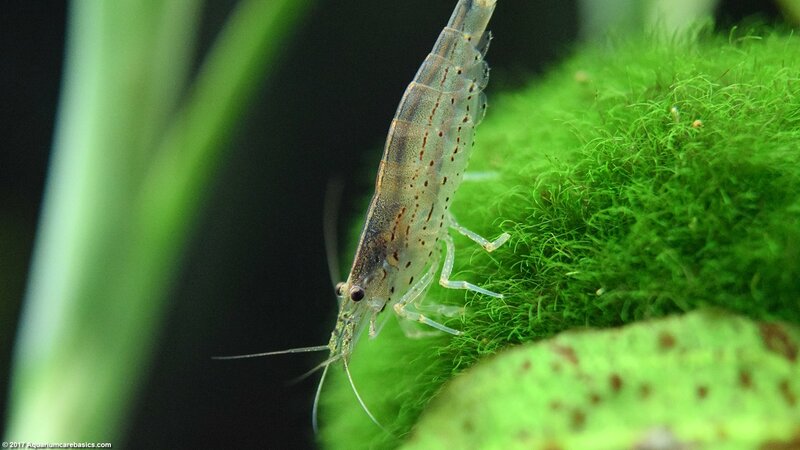 Some freshwater aquarium shrimp such as Amano Shrimp and Red Cherry Shrimp are particularly fond of Marimo Moss Balls because little bits of food get trapped on the top. The shrimp pick the edible material off the surface. Most inhabitants of a community tank will not eat it per se. But its been said that sometimes Goldfish may be interesting in it as a food source, so be mindful of that. Moss Balls are unique in that they really do not do anything, yet there is alot life-activity swirling around them. In addition to shrimp crawling all over them, its not uncommon for fish to pick little bits off food off them. And its really interesting to see snails moving across their tightly wound filaments searching for a bite to eat.